Convergys started supporting us last year, with their Head Office and Contact Centre in Altrincham being the first to join us. Since then two of their other UK sites based in Stockport have joined their colleagues to help support their local communities. 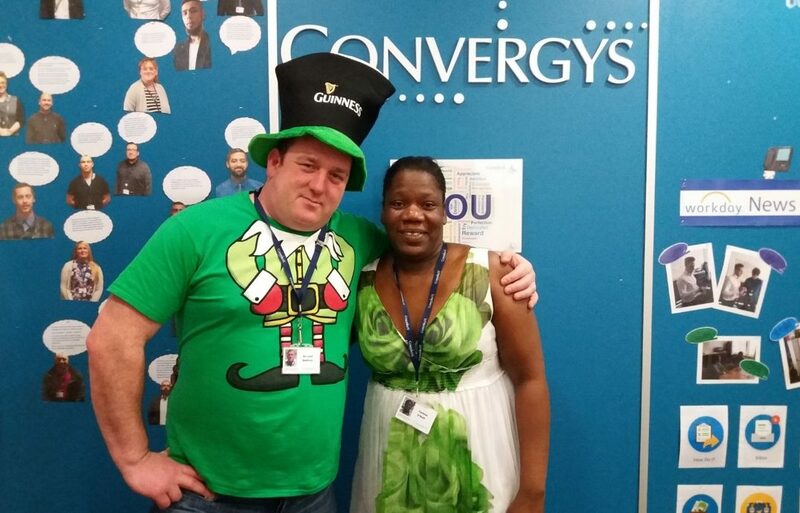 Convergys were recently awarded Corporate Supporter of the Year at our Birthday Party in February. So far the guys at Atlantic Point in Altrincham have already raised £600 in ticket sales for Captain Manchester’s Magical Tombola during January and February! Our friends at the Pear Mill site in Stockport are really stepping up their fundraising efforts this month too. They held a St Patrick’s day event on the 17th March where everyone was invited to pay £1 to wear green or orange or come to work in fancy dress. On 24th March they held a bake sale with money raised from their curry of the day also going into the pot! On top of that, they have volunteers willing to be waxed or shaved, plus competitions throughout the day to keep everyone entertained! The guys took to the task with their usual positive energy and raised an amazing £444 which we can use to help improve our local communities. 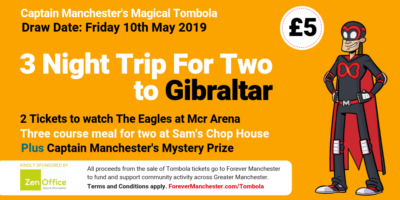 All in all, we’re always surprised, impressed and very grateful for the creative way that the folks at Convergys really get stuck in – it’s charity the Mancunian way and we love it! Hats off guys, we really appreciate your support and look forward to some interesting photos!